Barry Llewellyn, from Jamaican rocksteady and reggae vocal trio, The Heptones has died. Llewelyn fell ill and was taken to the Kingston Public hospital where he died in the wee hours this morning. The Heptones founding member Earl Morgan spoke to Music News this morning. Earl remembers his fondest moment with Barry. Leroy Sibbles who was the lead singer of The Heptones before he started his solo career, remembers working with Barry. The Heptones are a Jamaican rocksteady and reggae vocal trio most active in the 1960s and early 1970s. They were one of the more significant trios of that era, and played a major role in the gradual transition between ska and rocksteady with their three-part harmonies. Leroy Sibbles, Earl Morgan and Barry Llewellyn first came together as "The Hep Ones" in 1965 but later changed their name to "The Heptones". The name was chosen by Earl Morgan. 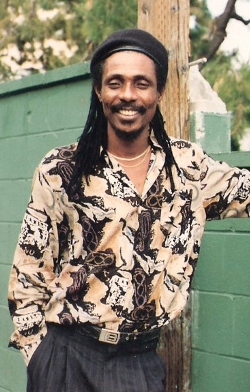 \nBarry Llewellyn, from Jamaican rocksteady and reggae vocal trio, The Heptones has died.\nLlewelyn fell ill and was taken to the Kingston Public hospital where he died in the wee hours this morning. The Heptones founding member Earl Morgan spoke to Music News this morning.\nEarl remembers his fondest moment with Barry.\nLeroy Sibbles who was the lead singer of The Heptones before he started his solo career, remembers working with Barry.\nThe Heptones are a Jamaican rocksteady and reggae vocal trio most active in the 1960s and early 1970s. They were one of the more significant trios of that era, and played a major role in the gradual transition between ska and rocksteady with their three-part harmonies.\nLeroy Sibbles, Earl Morgan and Barry Llewellyn first came together as \"The Hep Ones\" in 1965 but later changed their name to \"The Heptones\". The name was chosen by Earl Morgan.